Location, location, luxury! Charlotte NC luxury real estate– Stonecroft neighborhood, is located in coveted South Charlotte and is easily accessible to Charlotte’s major arteries– Colony, Rea & Providence Roads as well as I-485. Mere minutes from Uptown Charlotte NC and Charlotte Douglas International Airport, Stonecroft homeowners have fingertip access to everything that Charlotte has to offer. From the finest dining to cultural arts, professional sporting arenas to upscale shopping, schools to churches of all denominations, Stonecroft residents have ready-access! his neighborhood is just minutes away from SouthPark and Phillips Place, simply shopping at its finest. You’ll enjoy shops from A to Z: Neiman Marcus, Belk, Macy’s, Crate & Barrel and much, much more! The impeccably designed homes bring this deep-rooted neighborhood, an air of luxury, warmth and sophistication. Stonecroft’s custom builders brought some of the most beautifully built homes to ever grace the landscape of Charlotte to life! Stonecroft homes are truly luxury at its finest. The area’s most elite custom builders created an exclusive South Charlotte neighborhood, preserving age-old trees and boasting beautiful streetscapes. A complimentary mixture of architecture is seen in the 120 elegant estate homes in Stonecroft, one side of the community, overlooking Carmel Country Club. John R. Poore Builders, Inc. The best part of spending time in town will surely be returning to the tranquil setting known as STONECROFT to which you’ll return home. Stonecroft’s natural setting provides the perfect backdrop for the distinctive homes that grace the skyline in South Charlotte at Carmel Country Club. Click on the interactive map below for school and community locations. For the most-up-to-date information on Stonecroft current home values, then we urge you to contact us. We can assist you with all aspects of buying or selling real property in this and other neighborhoods in the Charlotte Metro area. Also ask to be placed on an instant notification system when any new Stonecroft MLS listings come on the market or price reductions in Stonecroft are posted. If you’re thinking of selling your Stonecroft home, I am a Guild member, Certified Luxury Home Marketing Specialist and would love to help.  Information on this page is based on information on single family homes for sale in Stonecroft subdivision in Charlotte NC per the Carolina Multiple Listing Services, Inc. and is deemed reliable but, not guaranteed. Debe – this is great information about Stonecraft in Charlotte, I’m sure that buyer who are considering a purchase in the area will really welcome this page. Thank you, Larry! I think that over the years, I’ve been in almost all of the homes in this community–I watched it sprout from farmland and it has grown into a gorgeous luxury community today. I love selling homes in Stonecroft! Excellent post about your area, Debe. This should be the bible for those people deciding on a neighborhood in which to live. Thanks, Jane! This is the perfect luxury community–great location, amazing homes and fantastic public school assignments too! Hi Debe – this is an excellent page about Stonecraft luxury homes in Charlotte. I am sure your clients really appreciate this valuable information. Debe – Stonecroft sounds like a magnificent luxury community in Charlotte. Thanks, Michelle! I watched Stonecroft come out of the ground and love selling in there–it’s just gorgeous.